Born in the mid 60's in a small town in the southern interior of British Columbia, I grew up with a passion for playing in the great outdoors. When I first started to explore my passion for photography, I was mostly photographing hot rods and customs. Now that I’m fortunate enough to be able to travel to different parts of the world, I find great joy in capturing many of the amazing sights I come across. What’s most interesting to me as well is developing the digital photographs afterwards through post-processing. It’s through this process that the artist inside of me comes through to develop the scene as I imagine it within my mind. Though it was the beauty of the nature that first drew me into photography, I’ve come to appreciate some of life’s finer moments by being able to travel and explore national parks within Canada and the USA. No longer content to merely capture the beauty of a breaking wave or piercing sky, I strive to capture the moments that can be cherished and remembered long after I have visited these iconic locations. With the advent of digital photography and ever improving camera gear, I’m free to capture the amazing scenery around me in nature, with such clarity and amazing depth of light that needs to be seen in person on my prints to be able to understand the depth of quality. I love to push the boundaries of my camera to the limit to capture very high resolution HDR panoramic images. Subtlety has no place in my art. I want my scenes to be larger than life, to jump off the walls with their clarity, vibrancy and depth. 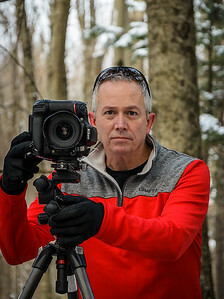 Although I do not have any formal training in Photography, from both a technical and artistic perspective, I have spent countless hours self-training and honing my photographic and compositional skills to get to where I am today. Through my photographic art and storytelling, I have managed to build a following of over 40,000 people from around the world on Facebook. Photography is all about the light. See it. Capture it. Develop it. While exploring nature and the back country I believe in leaving no trace. It’s very important to me to be able to visit and leave nature as I experienced it, and to leave it for others to experience after me, with having left no trace of having been there.